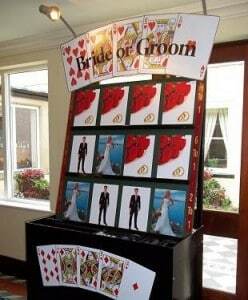 Bride or Groom is our own unique version of the classic game Higher or Lower with a Wedding twist. 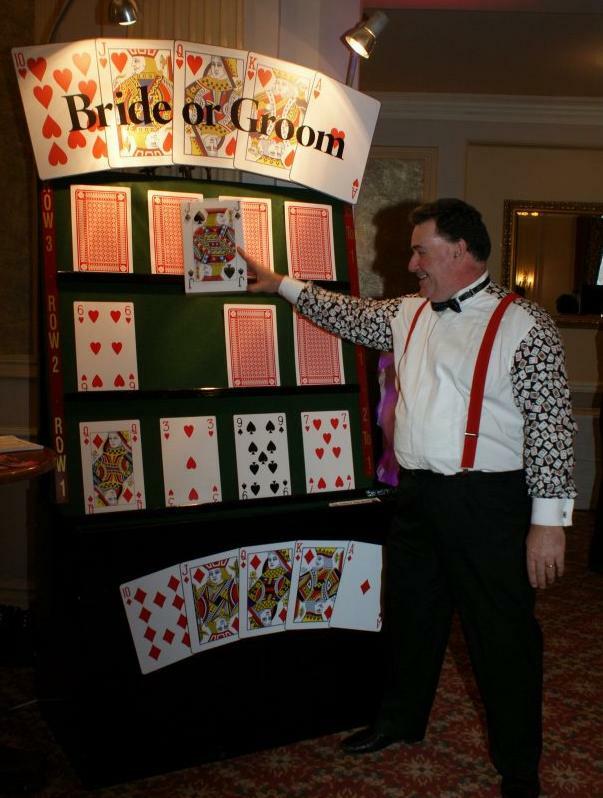 You and your guests have to guess whether the next card will be the bride or the groom, then the card is turned over to see if you are right, if you reach the end you will win some more fun money. 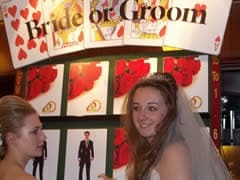 This is a brilliant, bespoke attraction for your Wedding and is a fast and easy game, allowing everyone to have a go! 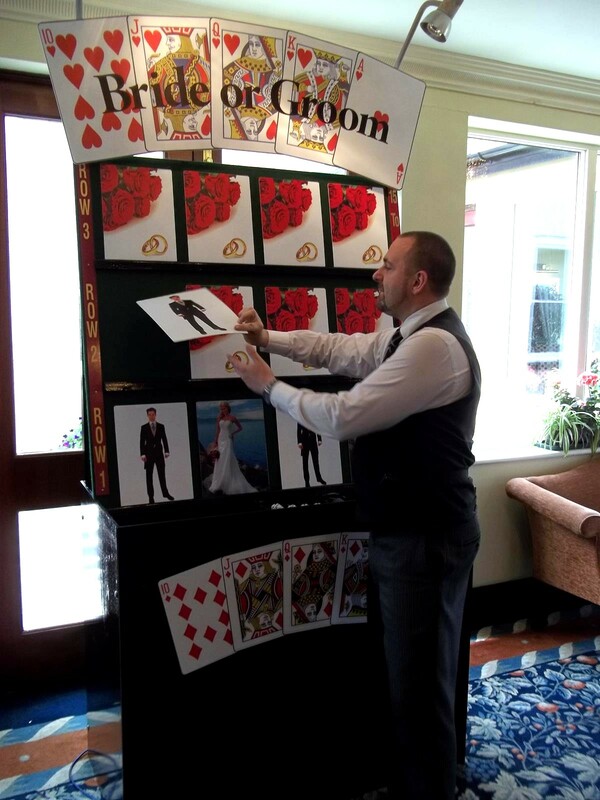 Cards can be personalised to yourselves, allowing you to have a picture of you and your other half on the giant cards, these can then be kept for yourselves as a memento of your Wedding day to play with for the rest of your lives! If you’d like you can send us a photo of your dress and suit fittings allowing us to put pictures of your in your Wedding attire on the cards too!